Slow, rhythmical and therapeutic, using sweet almond oil and specially blended relaxing essential oils (please inform therapist of any nut allergies). Great for de-stressing; remedial and detoxifying; excellent for lymphatic drainage. A medium pressure massage to reduce muscle tension, knots, stress and other physical problems; finished off with a gentle scalp massage. Grape seed oil or sweet almond oil are used, please inform therapist of any nut allergies. …and full body moisturise. Body brushing helps our lymphatic drainage system to remove toxins from the body. A dry body brush stimulates blood flow and lymphatic circulation and removes dead cells to promote toxin elimination, In so doing, it helps to reduce cellulite in our thighs and behind, where fats, proteins and waste products tend to accumulate. The soft bristles of the brush give a pleasant sensation on the skin which is complimented by a body massage using deep moisturising cream. Great before or after a holiday to maintain your tan. The appearance of the eye area is defined by the arch, length, and thickness of the eyebrow. Once re-shaped using tweezers to extract unwanted hairs, the eyebrow can give the appearance of bigger eyes Just as the shape of a moustache can drastically change the appearance of a man’s face; the shape of the eyebrows affects the appearance of the eyes. A concentrated skin care treatment with products suited to your skin type; Foaming cleanse, deep cleanse, exfoliation, prescription face masks made especially for you, toner, face and neck massage and completed with moisturiser. Improving the texture of the skin increases the circulation and encourages cellular activity and rejuvenation. Leaving the skin refreshed and balanced and you feeling relaxed. A treat for your face; foaming cleanse, deep cleanse, prescription face masks made especially for you, toner, and moisturiser; followed by a hand or feet treat. A concentrated skin care treatment with products suited to your skin type; Foaming cleanse, deep cleanse, exfoliation, prescription face masks made especially for you, toner, face and neck massage and completed with moisturiser. Pressure is applied on the acupressure points of the face unblocking any energy channels Improving the texture of the skin increases the circulation and encourages cellular activity and rejuvenation. Leaving the skin refreshed and balanced and you feeling relaxed. The head, neck and shoulders are important energy centres within your body. Tension tends to accumulate here resulting in a stiff neck and shoulders, eye strain, headaches and sometimes even hair loss. The ancient art of Indian head massage works with a firm and gentle rhythm to relieve this uncomfortable build up of tension; also calming the spirit, promoting relaxation and relieving stress. So much more than a foot massage. This ancient Chinese therapy can bring your whole body back into balance, unblocking energy channels enabling you to self heal. Can benefit every part of the body, emotionally & physically stimulates blood circulation and the lymphatic system, increasing energy and helping with the process of elimination of toxins. An ancient Japanese method of natural healing. Reiki (pronounced ray-key) means “Universal Life Energy”. Pain free and non-invasive, it is simply a method of drawing concentrated life force energy from the universe and directing it to the recipient to create a feeling of deep relaxation; unblock energy channels to allow the free flow of energy. Helps with stress & tension; Promotes clarity, focus and general well-being. Reiki can bring the whole of the mind, body and spirit into harmony. 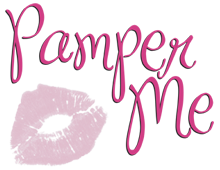 Why not have a look at our range of Pamper Parties and pick your perfect pampering day! "What can I say, a perfect way to spend the day with friends. The whole day was wonderful, thank you." Our pamper parties cover the following areas: Leeds – Wakefield – Castleford -Pontefract – Sheffield – Rotherham – Barnsley Bradford – Doncaster – Halifax – Huddersfield – Harrogate Knaresborough – York – Yorkshire We will consider travelling outside these areas at additional cost.